Like most years, I made quite a few gifts this year. 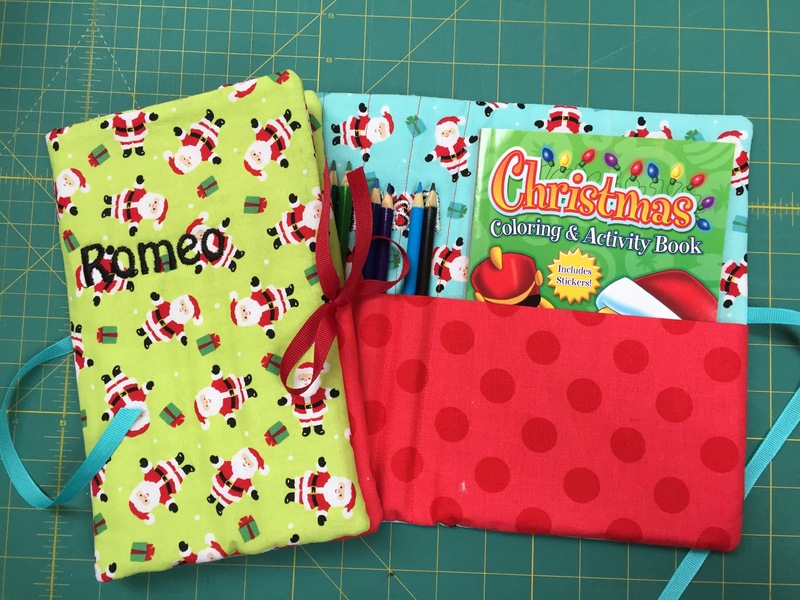 Given this was the first Christmas in many years that I had an embroidery machine, and I had limited time due to craft shows, embroidery was a common theme. 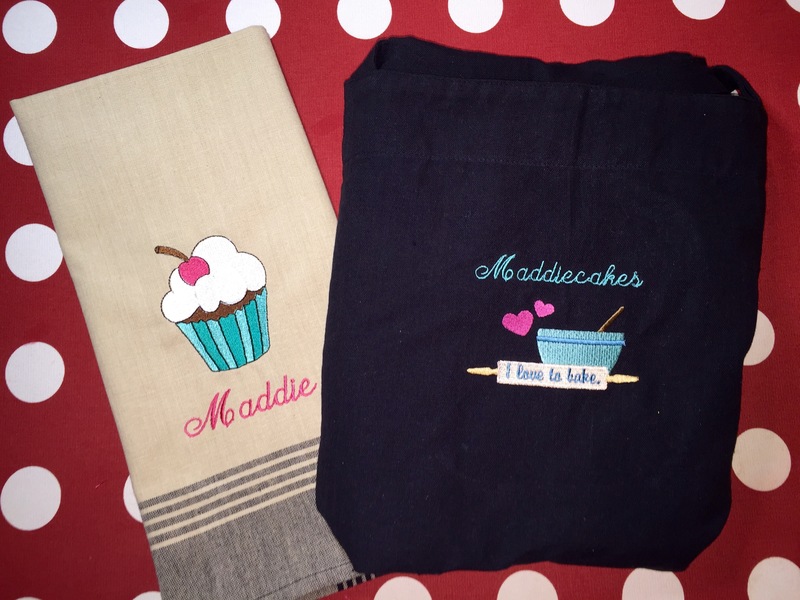 Maddie has been into baking lately, so one of her many baking themed gifts was this apron and matching towel. I have called her Maddiecakes since she was a baby, so this was especially appropriate. 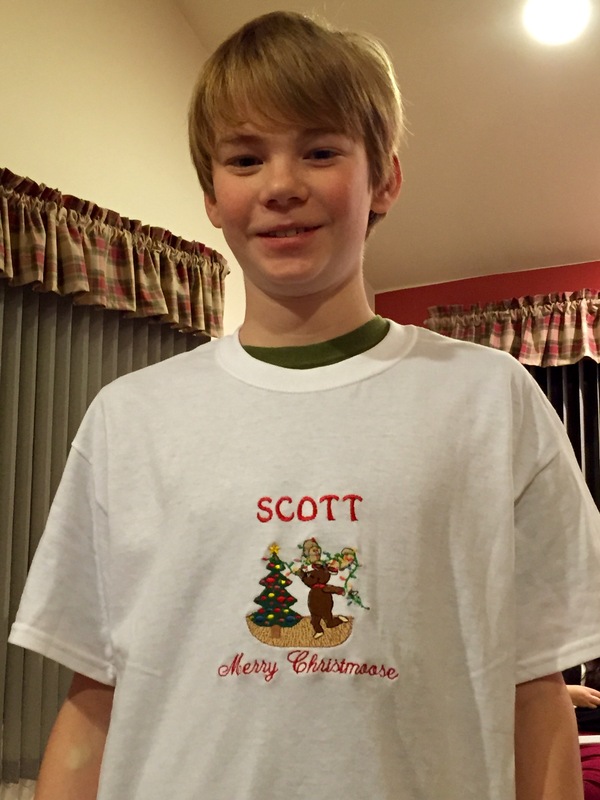 I learned in Christmas Eve that our nephew Scott is obsessed with mooses. His sister asked me to make him a moose shirt, and she loved the pun, “merry christmoose.” We even got him to wear the shirt! 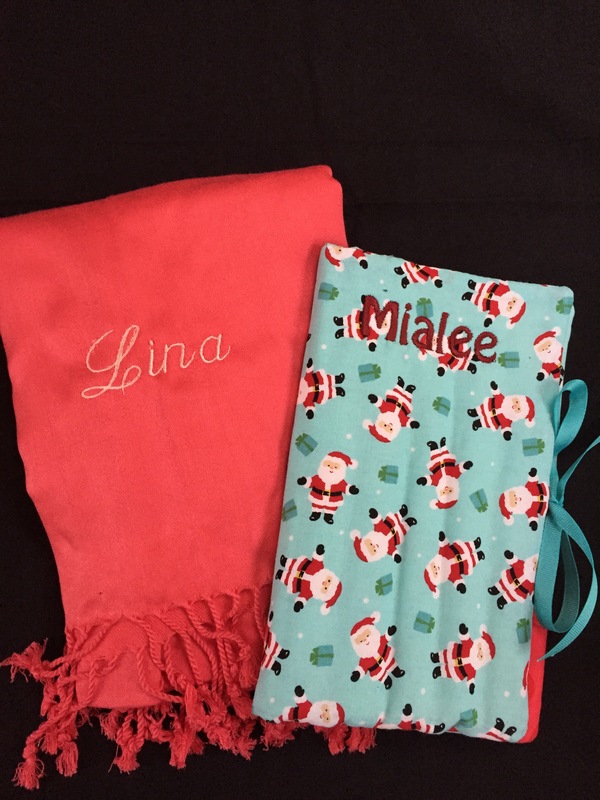 My assistant Lina got a personalized scarf and a game book for her beautiful daughter. I made personalized game cases for the girl, Ilana, who does my nails kids too. 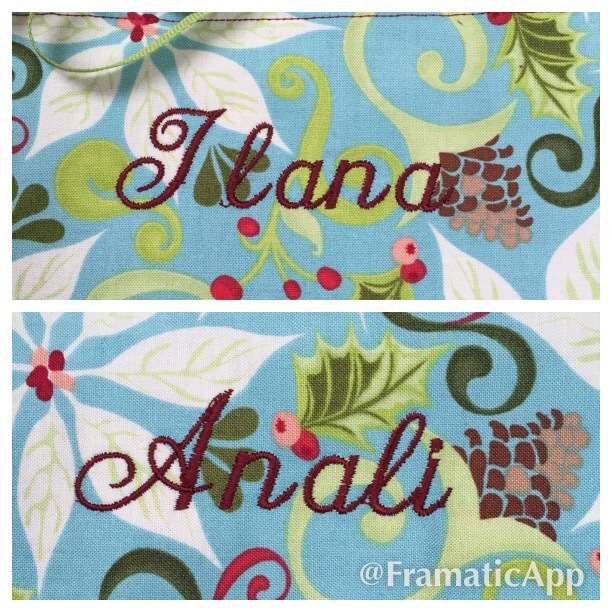 I leaned just before Christmas that her real name is Anali, or Anna for short. At the salon they call her Ilana because there is another Anna. 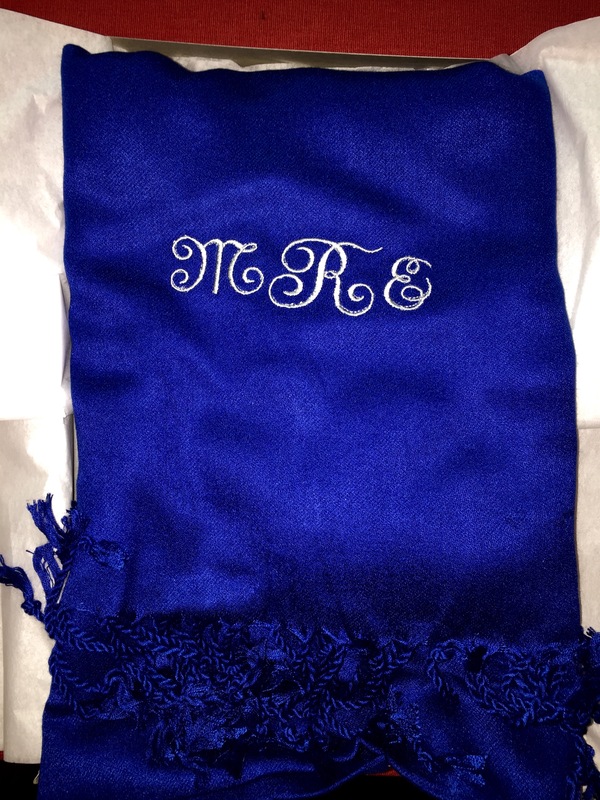 She got a tote bag with each name embroidered, one on each side. 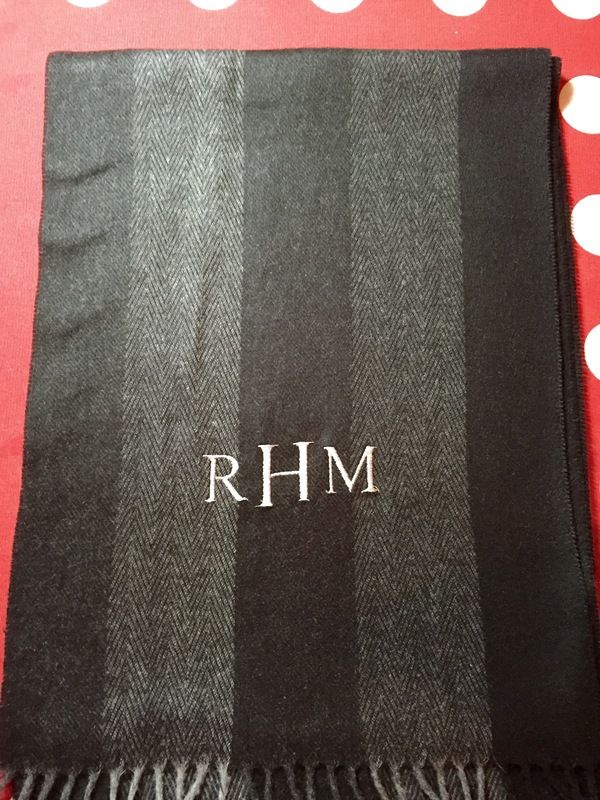 I personalized lots of scarves. These were for my mom and Rob. My hair dresser got one, as did Rob’s Mom and Dad, and a few folks I haven’t seen yet. I love making table toppers, especially for the holidays. I made this table topper with the matching towel for my boss and friend Lynn. I did the topper in a snow theme so she could use it all winter. 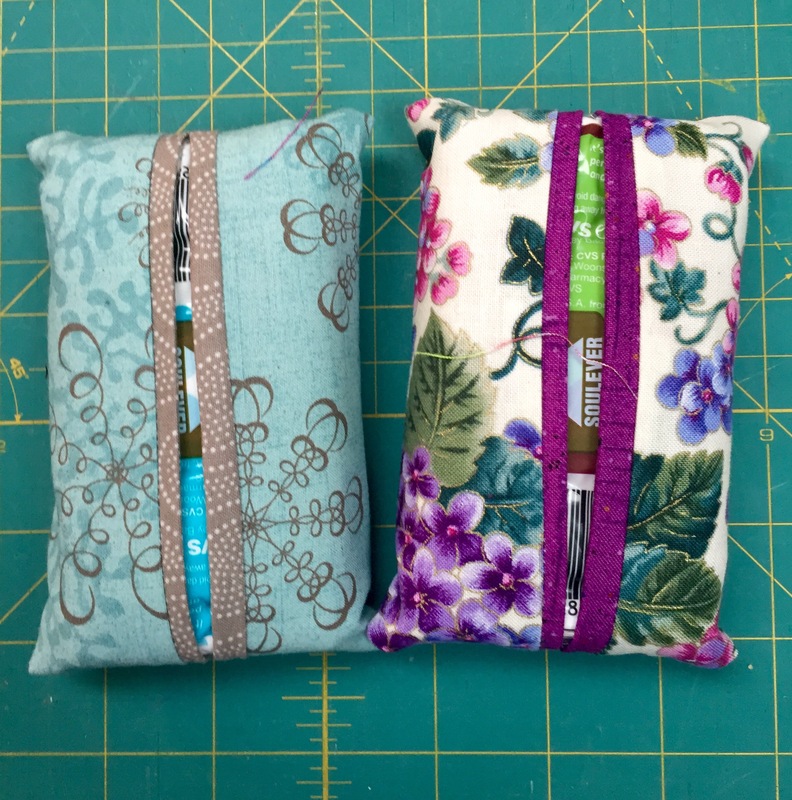 Many people got tissue holders in their Christmas stockings this year. 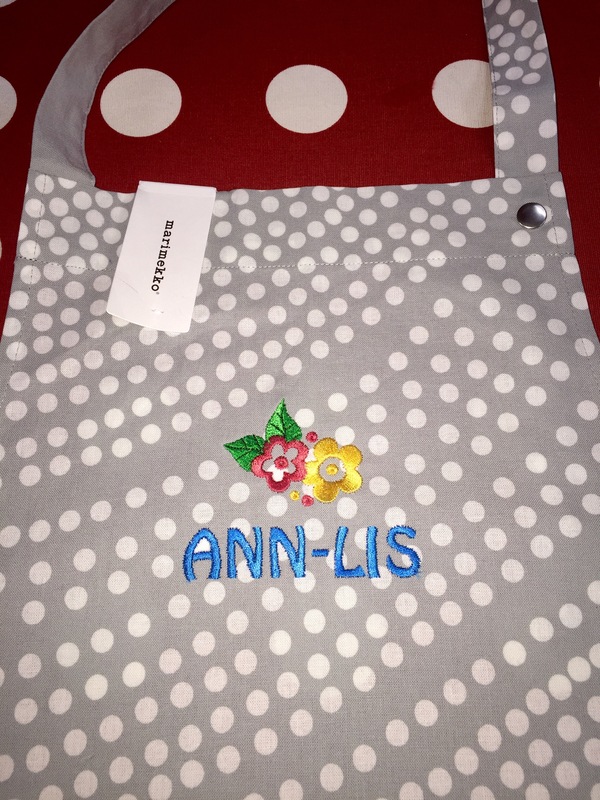 My mother in law got an embroidered apron. Last year I made her one, but there is a merimekko in my building at work. 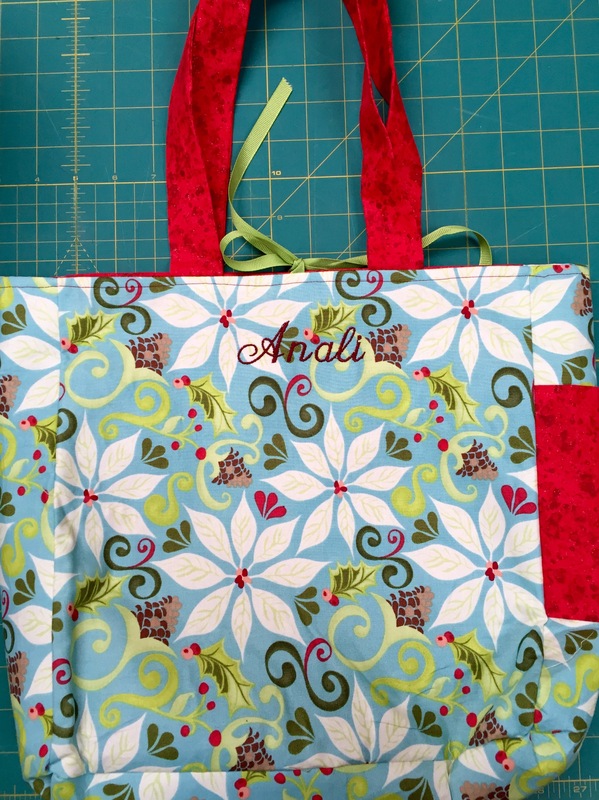 Since she is from Finland and loves their items, I bought the apron and added the embroidery. 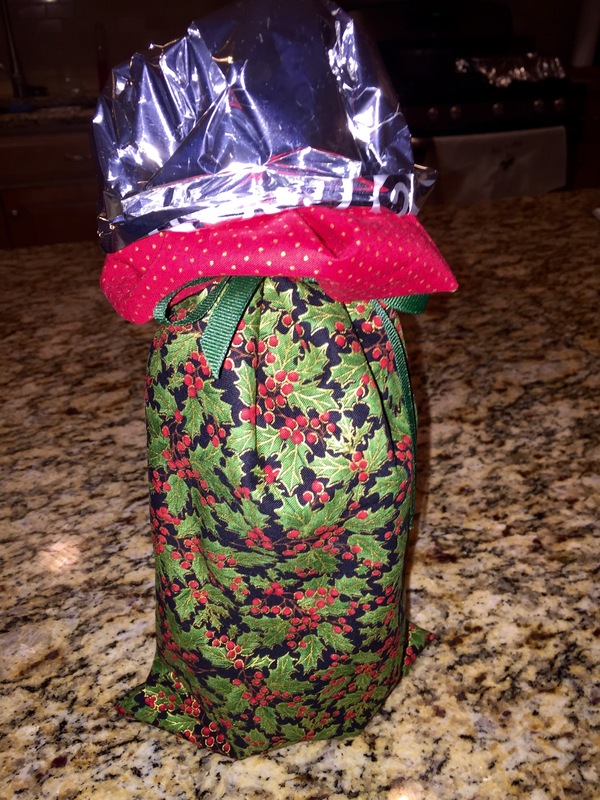 And, lastly, my neighbor Pete got a bottle of chianti in a homemade wine bag. 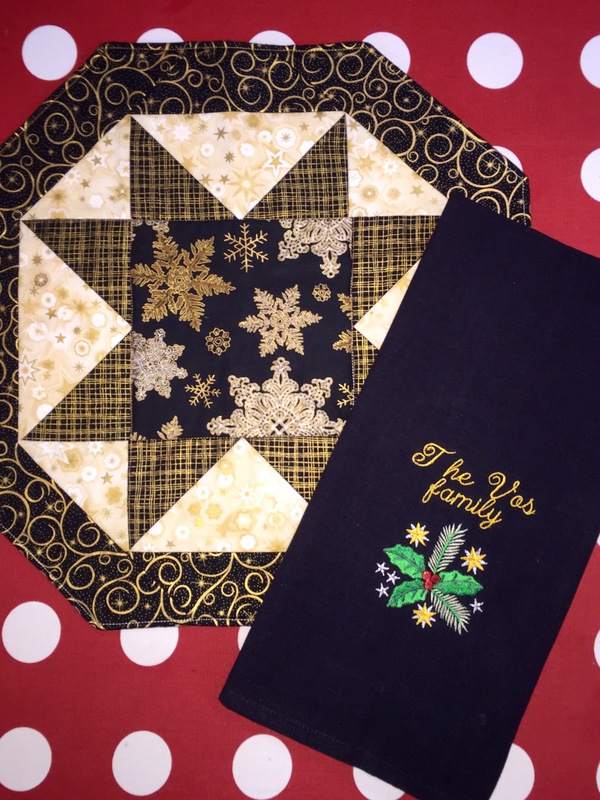 This was the first year in many that I didn’t gift a handmade quilt. I will have to get caught up this year! ← Merry Christmas, and a train cake too!